With so many options out there, deciding on the right kind of flooring for your home can be a challenge. You want something that not only matches the interior design you have worked so hard on, but can also stand up to years of wear and tear. The Gateway Design & Home Center is here to help you find exactly what you need. We offer a wide selection of flooring, from solid hardwood to carpet, with a variety of colors and patterns available so you can find the new flooring of your dreams. 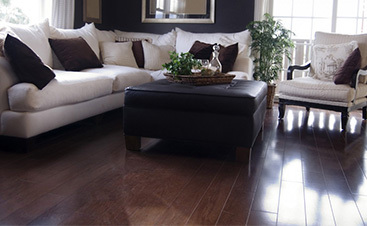 To help you narrow down your choices, we have been discussing the advantages and disadvantages of each flooring type. We have covered the pros and cons of hardwood flooring and, in our last post, we went over the advantages of classic tile. Today, we’ll be talking about the drawbacks that can come with tile flooring. Keep reading to learn more and visit Gateway Design & Home Center in Loveland for a personal, one-on-one consultation! The hard surface of tile makes it easy to clean, but it is not always comfortable. 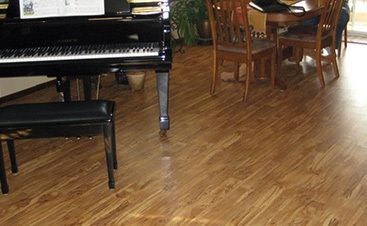 It’s not a good flooring choice for any area where you might need to stand for long periods of time. Tile is a popular flooring choice for kitchens, but if you spend a lot of time cooking, you might want to consider another flooring material or find ways to offset the discomfort. Rugs can be a great option to soften tile. They can also be an easy solution for protecting your feet from the shocking cold of tile flooring in the winter. The weight of your flooring depends on the specific material you choose to use, but on average, tile will be heavier than most other types of flooring. This means it may not be the ideal flooring choice for upper stories if you have a home with an upstairs. 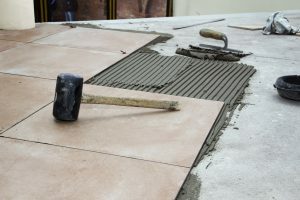 If you want to install tile flooring in rooms that are on an upper level, you should ask a professional to check the structural integrity of your home to ensure that tile is a safe choice. If you want to install your own flooring, tile is not the ideal choice for beginners. There is a lot involved in tile flooring installation, and you will typically need mortar and grout as well as a variety of tools. Tile installation can theoretically be done by an amateur, but it is a challenging and time-consuming process. Any mistakes made during installation can have significant long-term or delayed consequences. Hiring a professional team can save you some of the pain of doing the job yourself, but because tile installation is so labor intensive, it can be expensive. 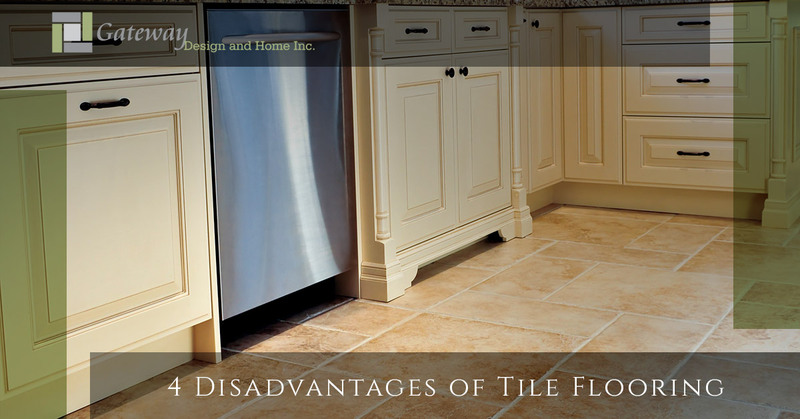 As we discussed in our previous blog post, one of the advantages of tile is its resistance to moisture. However, the trait that makes tile the material often used in spill-prone and high humidity areas like the bathroom is not a given. More expensive materials like marble tile should be fine, but unglazed ceramic tiles need to be sealed to protect against water damage. Grout lines are also susceptible to moisture if they are not sealed properly. Without the protection of sealant, water can seep down into your flooring, weakening the installation and encouraging mold. Do you think tile flooring is the right choice for you? Are the drawbacks of a hard, heavy material making you reconsider? Wherever you are in the decision process, Gateway Design & Home Center is here to help you find the perfect new flooring. We can talk you through the pros and cons of tile flooring in person at our Loveland showroom or provide you with a free in-home consultation to go over the finer details of your project. We’ll help you find what you need. Stop by today or call to schedule your personal consultation!